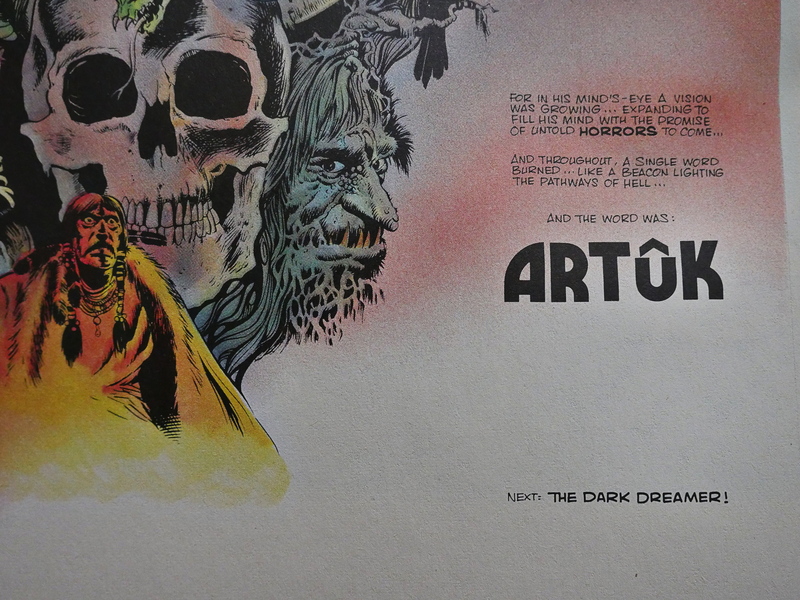 This is obviously a reprint from somewhere: The aspect ratio points towards this being created for a magazine or a European comics album. Also the very fine linework in the art. As usual, Eclipse is completely silent on the issue of where they source their reprints. It’s an, er, story that’s very reminiscent of things like Thorgal, which is a very commercially successful French album series: It’s got wizards and warriors and it apparently takes place in Olden Dayes. The artwork, as you can see, is very nice. It looks like Senior (is that the artist?) 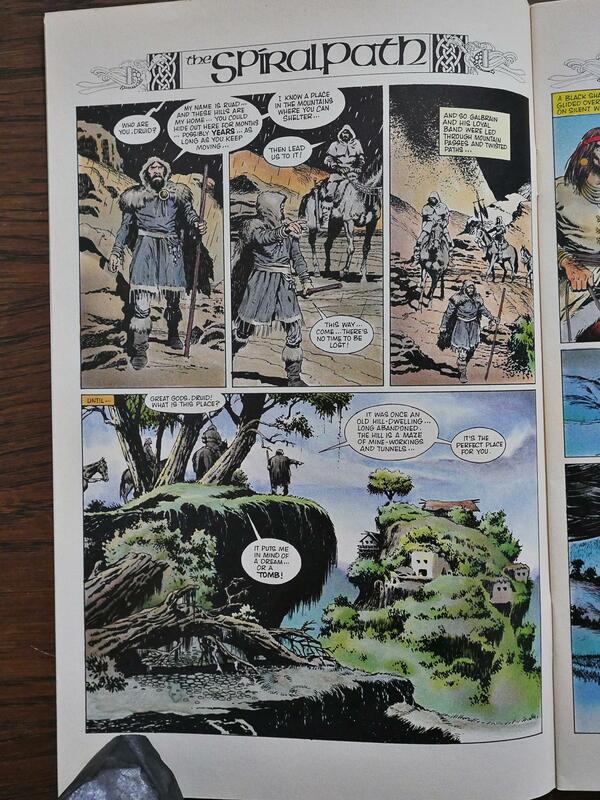 was staring at Prince Valiant the entire time while drawing it. Another clue! It’s told in four to six page episodes, so it’s definitely from a magazine of some kind. Hold on! 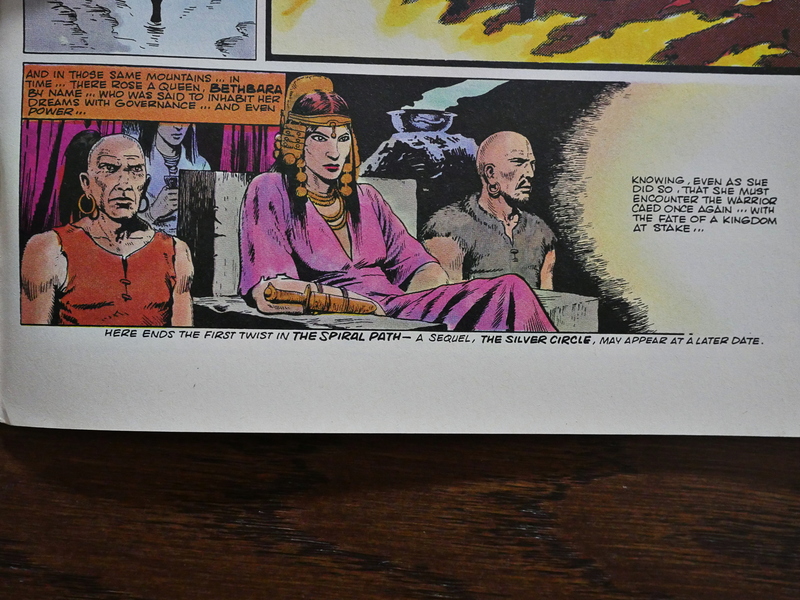 This isn’t another one of the dregs from Warrior Magazine, part of the deal that Eclipse had inherited from the Pacific Comics bankruptcy estate? That would make sense, and it’s logical that Eclipse waited with this until after they’d printed all the other stuff, because this is an incoherent non-story drenched in turgid prose, and it was a struggle to get through it, even if it’s just about sixty pages in total. And it doesn’t really have much of an ending. Of the approximately nine hundred characters that were introduced, most of which had similar names, I think about half died, but then some came back to life, and I have no idea what it was all about. Except one of the evil wizards died. Probably. Perhaps to be resurrected in the sequel, The Silver Circle, that I sincerely hope never happened. 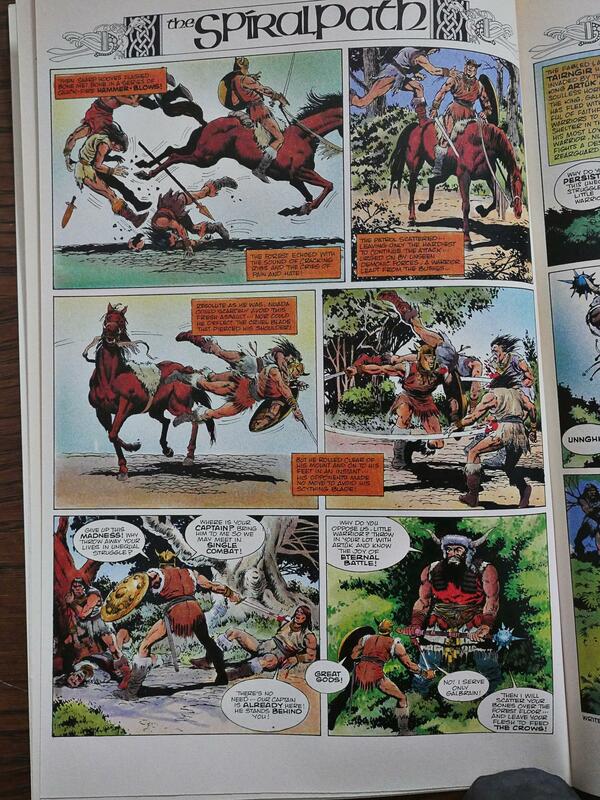 Comics.org confirms my guess that this was reprinted from Warrior. 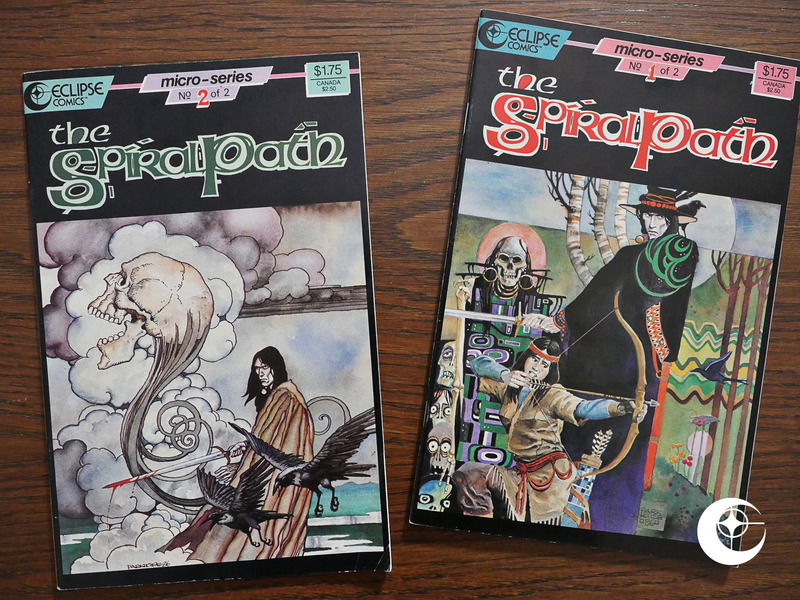 The Comics Journal confirms that it was part of the Pacific deal; The Spiral Path was announced three years before it was published. Set in the wartorn land of Tairngir, it’s a rambling epic which frequently seems to change direction without ever really deciding where it’s going. But it says that the artist is John Bolton? It doesn’t look like Bolton. Is Geoff Senior a pseudonym? Nope. You just can’t trust the Internet.